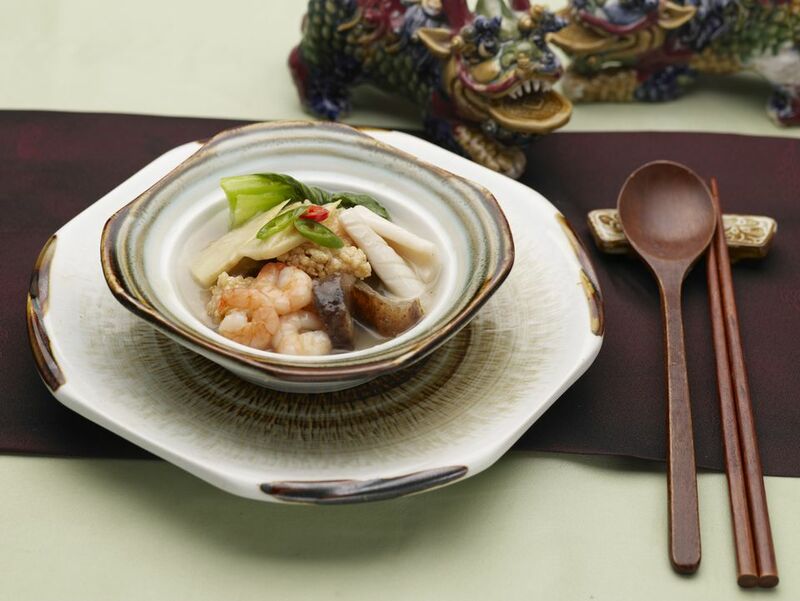 A restaurant specialty, sizzling rice soup makes crackling sounds when crisp rice is added to the hot broth. But why enjoy this meal at a restaurant only? Bring this delicious sizzling rice recipe to your friends and family at home. It's sure to impress! This is good with chicken or shrimp. Soak mushrooms in hot water for about 20 minutes. Strain the liquid and reserve 1 cup for the soup. Cut mushrooms into quarters. Cut the water chestnuts and bamboo shoots into thin slices. Bring a pot of water to boil. Add the chicken and slice ginger and briefly blanch the chicken, just until it changes color. Drain and cut the chicken into thin slices. Bring the chicken stock or broth and the reserved mushroom liquid to a boil. Add the chicken and pork, shrimp and the vegetables. Let simmer for a few minutes, then add the soy sauce, sherry, and the salt and pepper. Drizzle with the sesame oil. Bring back to a boil and then let simmer for a few more minutes. Place the soup in a large serving bowl and keep warm. Heat wok and add oil for deep-frying. When the oil is ready, add the crispy rice. Deep-fry until it puffs and turns brown, then drain on paper towels. Add the rice to the soup at the table, so that guests can hear the rice make popping sounds when added to the broth. While rice is cooling, preheat oven to 300 F.
Bake the rice for 50 to 55 minutes, until it is dry. Store in a canister until needed. Do not freeze.